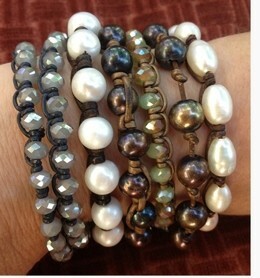 Learn basic macramé knots for creating simply beautiful leather and pearl bracelets. Make them short to stack together or wear separately; make them long to wrap several times around your wrist or wear as a necklace. We will design several different styles of macrame bracelets in this class.